Anyone who knows me knows what a huge makeup fan I am. That is the main reason I started this beauty blog. Sigma Makeup is a big part of why i love reviewing make-up especially eyeshadow. Lately I've been focused on mineral make-up, however Sigma has brought me back to my favorite thing, which is a collection of brilliant, beautiful eyeshadows in one amazing collection. When I received my Sigma Neutral Shade Eyeshadow Kit , I was more then just impressed. This is the kind of kit you could use if you have NEVER worn make-up or even if you have no idea how to apply. Not only does it come with a tutorial on how to put eyeshadow on but it tells you exactly what brush to use (which we will get to later) and it gives you step by step instructions, which i found incredibly useful. I love how the Neutral Eyeshadow Kit came in small compact cases, each in their own separate box with mirror and eyeshadow applicator. So not only could you take each eyeshadow by itself, and throw it in your purse, but you could do what I did, which is take each eyeshadow and put it into the empty eye pallette which you receive when you order this awesome kit. I also got to try the EyeShadow Brush Kit which is by far the best eye brushes I have reviewed yet. I loved how they came with large numbers on the side of each brush, so when your reading the "How To" instructions, you could refer directly to the brush the manual is talking about without any confusion. In this amazing eye brush kit you receive a Medium Angle Shading Brush, A small angle brush (which i love to use for my eyebrows) A Large Shade Brush which is great for putting eyeshadow directly onto your lid, a Pencil Brush , Tapered Blending Brush , an Eyeliner Brush and an Eye Shading Brush which is perfect when blending in your colors. All together, this is the best Brush Kit I have reviewed on any of my blogs, and I am so happy I found Sigma Makeup. One lucky reader will win a Goodie Bag from Sigma Makeup that contains two travel brushes and an eyeshadow. Right now Sigma Makeup is even offering 25% of some of their popular makeup kits and their website even offers a fun tutorial showing you exactly how to use their products so you get the perfect flawless beautiful eye shadow color we all long for ! For your MANDATORY entry check out some of their sale item make-up kits and let me know which item you would buy, either for yourself or someone else! Check out their tutorials while your at it, they really do give you some great tips!! That's it. A winner will be chosen 3/29 11:59 PM. Winner will be chosen by random.org and will have 48 hours to respond to the winning email or else another winner will be chosen. Thank you to Sigma Makeup for sponsoring this giveaway. I was not paid in any way for this posting, and the opinions are strictly my own. I received an eyeshadow kit for the purpose of reviewing this company. Hello~ thanks for the giveaway! I'd buy the special combo kit- my niece has been getting into my makeup brushes, and some of my favorite ones have been ruined, so new brushes would be nice. I follow this blog via google connect! #1. I'm an email subscriber. #2. I'm an email subscriber. I am in desperate need of some new makeup brushes and that compact mirror is so cute! I like the beauty on the go kit smokey eyes. I would buy the Beauty On the Go Kit - Blush and Highlight, for myself of course - to perfect my complexion! I would love to have the Smokey eyes kit. I've always wanted to make myself look fabulous. Id like the special combo kit. Thanks for the chance. I would get the special combo kit! I'd totally get the Fun Colors Beauty on the go kit. I love the blue! I like the Beauty on the Go Neutral Shades kit! I would buy the Smokey Eyes Kit! I like the Smoky eyes kit. I also liked the smokey eyes kit. I really just liked all of it, and my mom would probably like alot of it to. the neutral eyeshadow kit looked good also! i subscribed to sigma's newsletter and am following you on facebook.. I love the beauty on the go kit- smokey eyes and the special combo kit ! Special Combo #2 is what I would love to have! I would love the smokey eyes beauty on the go kit. I would pick Beauty On the Go Smokey Eyes kit. I would get the Beauty on the Go Kit - fun colors for myself. I would like the Beauty on the Go Kit Fun Colors for my daughter who is just getting into such things. I love the Beauty on the Go Complete Kit, it includes so much cool stuff! The Blush and High lit kit. I would want to buy the Full beauty on the go kit for myself...That would be incredibly cool to own. I subscribed to Sigma's Newsletter #1. I subscribed to Sigma's Newsletter #2. I would love to get the Smokey Eyes Kit, thanks! I like the Fun Colors kit! I like the go complete kit. Christina - xristya@rock.com - I'd like to get the Special Combo 2! I'd like to try the beauty on the go neutral shades. I'd buy Beauty on The Go, cs I'm always on the go. I'd love the Beauty on the Go Kit - blush and highlight. I follow you on FB networked blogs (Angela Townsend). I would love to try beauty on the go smokey eyes kit. Beauty on the go Kit in neutral shades would be my choice and of course for myself. I like the Beauty on the go kit in neutral shades! :D This would be for myself. I just started (FINALLY) wearing makeup recently. I would buy the Beauty On the Go Kit - Blush and Highlight, for my darling daughter she is make-up obsessed and this would be perfect for her! I like the Sigma Makeup Beauty on-the-go smokey eyes kit. 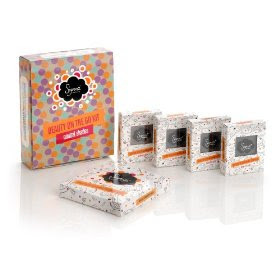 I would want to try the Beauty on the Go - Fun Colors kit! which Sigma Makeup make-up kits sale item i would buy, either for myself or someone else: *SPECIAL COMBO* Professional Brushes Complete - Pink Kit + Light Pink Mirror $99.00 (US$ 99.00 (12 brushes + brush roll + mirror)- a $114 value!)! I also like their Smokey Eyes kit and tutorial. I even book marked it so I can come back later and practice. I like Sigma Makeup Beauty on-the-go collection. I'd like to try the Beauty on the Go Kit--Neutral Shades.